Ã”Ã‡Â£Oink Oink! Anybody there?Ã”Ã‡Ã˜ Talking piggy is ready to play! Never have there been pigs as pets such as Oinky, the talking pig. 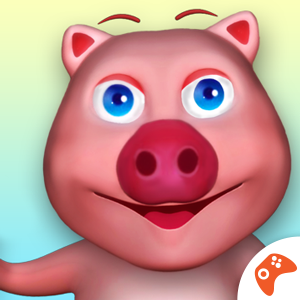 Download this talking game and enjoy playing with your new pet pig! 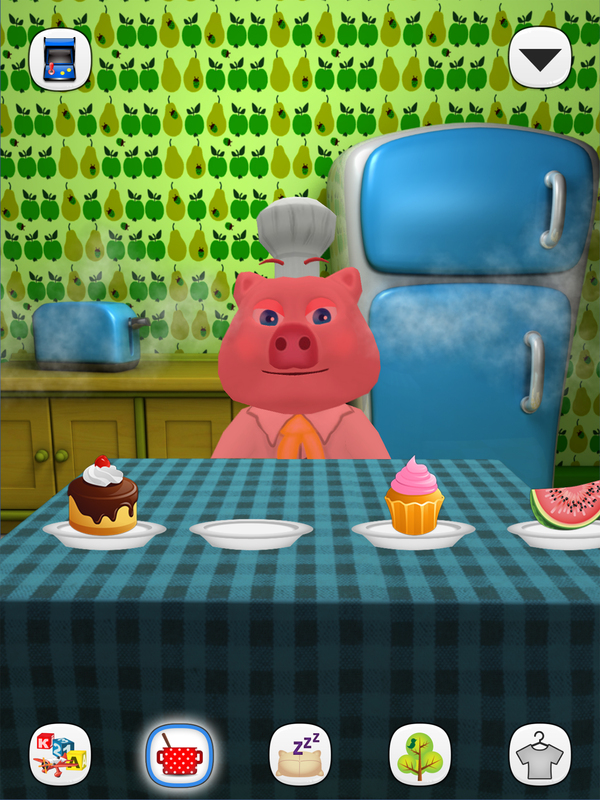 Talking Pig Oinky belongs to pig games for kids and toddlers. 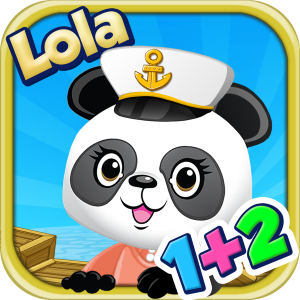 Its great features make this game one of the best games for girls and boys bringing joy and laughter every step of the way. 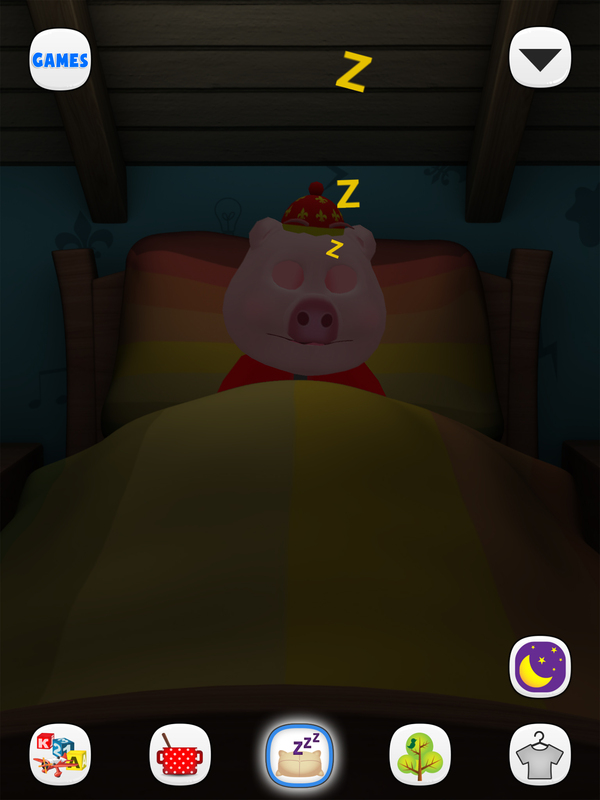 What is more, with Oinky, pig sounds are not just noises, which makes this game a fun game for little kids, too. Pig games and pet pigs have just started their adventure. So, what are you waiting for? Join the ride! 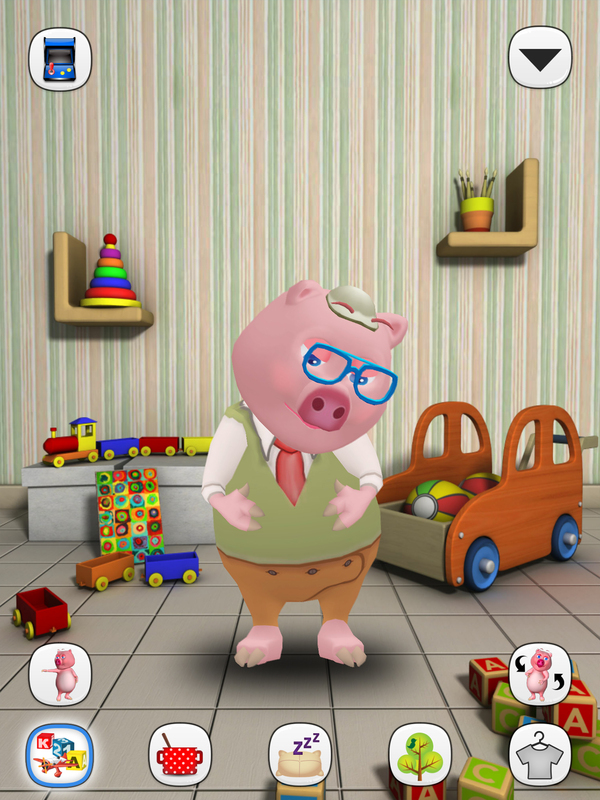 Game Features - Talk to Oinky and he will repeat what you say in a funny voice - Watch the piglet dance - Play mini games with the piggy! 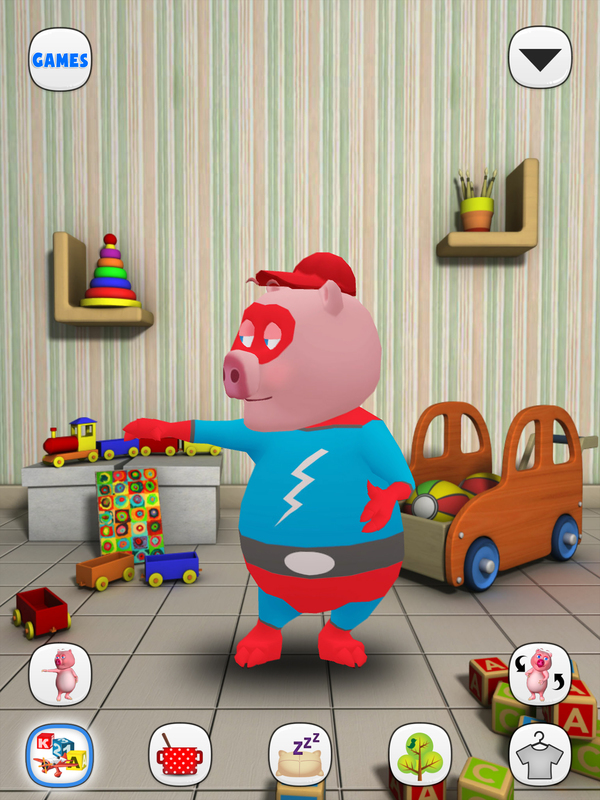 Choose your favorite: Flappy Piggy, Food Drop, Piggy Hop, Piggy vs. Monkey, Spider Pig, or Tilt Jumper - Make sure to feed the piggy so he doesn't stay hungry - Play with the piggy in his playroom - Put piggy to bed and lull him to sleep - Play dress up games with the piglet. Choose your favorite outfit and show off your pet pig! - Pet, poke, slap and tease piggy to see what else he can do You think pigs as pets is a bad idea? My Talking Pig Virtual Pet will prove you wrong! TALKING PIG MINI GAMES FLAPPY PIGGY Set your pig running and get as much food as you can while trying to stay alive for as long as you can. Fly your piggy as a bird and make sure he gets around all the obstacles. 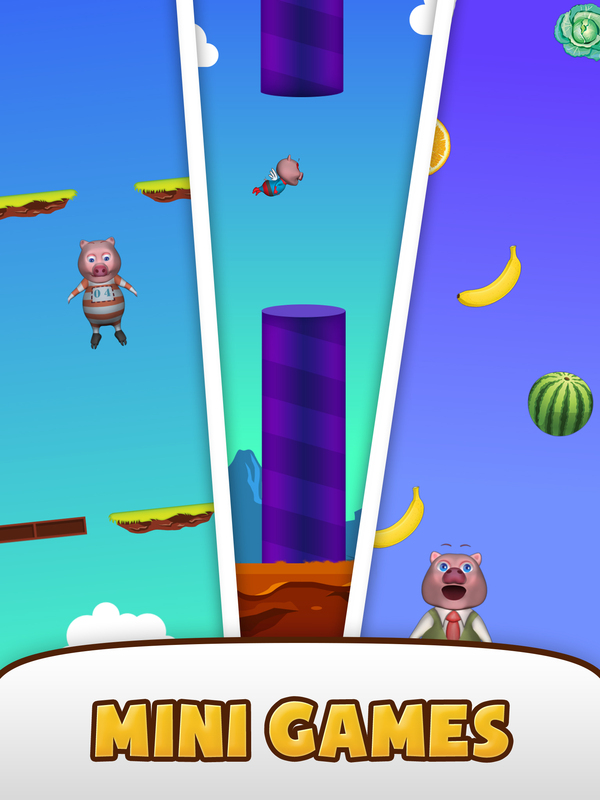 PIGGY HOP Make your pig jump from rock to rock while collecting time and food. 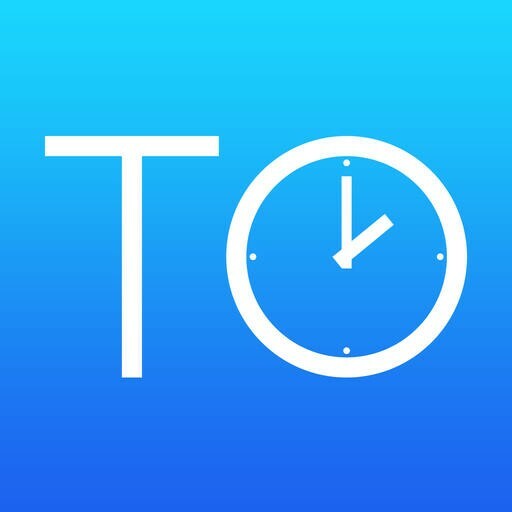 This game is timed so you better watch out for those time collectables. FOOD DROP Move your piglet around to get as much good food as possible. Make sure he eats only what is edible because a rotten one means game over. PIGGY vs. MONKEY Piggy has challenged talking monkey to a duel. Tap the screen so that the larger one jumps over the smaller one. If they crash, you lose! SPIDER PIG Tap the screen so that your piggy follows gravity. Make sure he avoids all the gaps on the screen or the piglet will die. TILT JUMPER Move your device left and right to move the piggy. 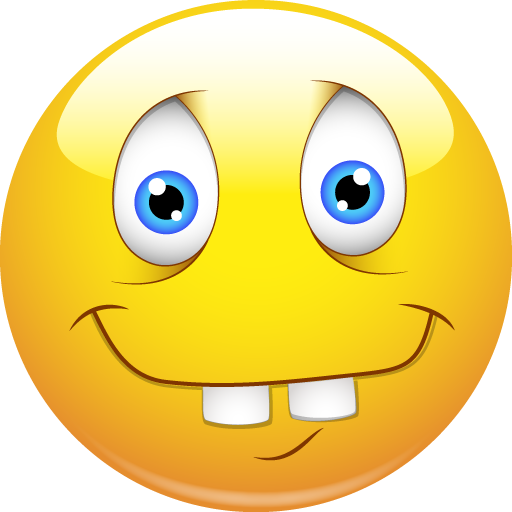 If you step on a spring, it will toss you higher. But, watch out for the bombs. They mean game over! Bad and disobedient piggies can be real pests, but talking piggy Oinky will become your favorite pet pig in a blink of an eye. 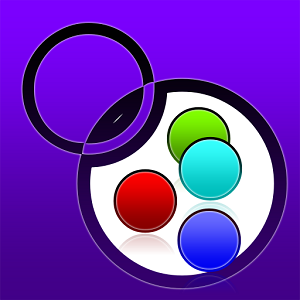 He is funny and goofy, but he makes talking games for kids and toddlers a real joy! 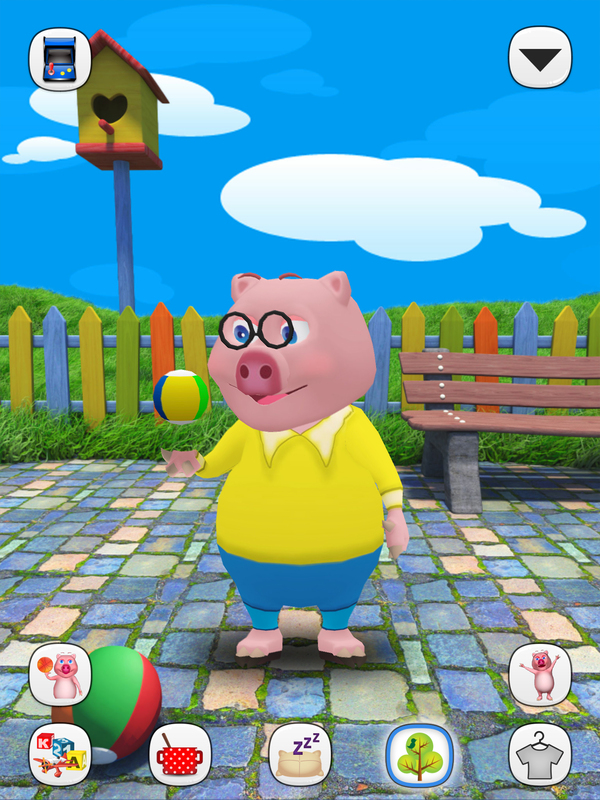 Download My Talking Pig Virtual Pet game and join pig world to write your own little pig story!